News : Big Data- who is in charge? The ECCO 2018 European Cancer Summit will take place on 7-9 September 2018, in Vienna. The meeting will discuss issues affecting access to high quality cancer care for patients across Europe. Attracting policy makers, key opinion leaders and leaders from cancer health care, patient advocacy and stakeholder communities, the Summit will formulate resolutions that will be addressed at the highest political level. On this occasion, the summit will host a debate session on big data. The session will address the missing responsibilities of bringing big data opportunities to fruition and who is accountable. Understanding the biology of cancer has become very important to define individualised treatments for patients. At the early stage of treatment development, big data compiles large amounts of information on multiple levels from DNA, proteins, cells, organs, organisms to ecosystems, allowing researchers to produce better predictive models that can help to create more desirable and cost effective treatments. At a later stage of development and in real life, big data may help to refine the role of treatments in the healthcare setting as well as ensuring the monitoring of long-term safety. However, the medical and research fields are faced with different types of data sets, such as for diagnostics, drug development, treatment decisions, groups of patients and long term follow up of individual patients; big data is therefore a generic terminology. Organization of big data sets should depend on objectives, which will ultimately create different types of challenges and solutions. 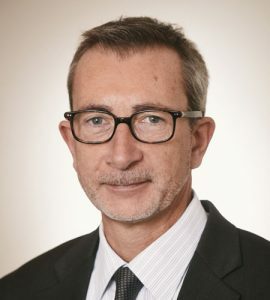 Dr Denis Lacombe, Director General of EORTC, will present EORTC’s perspective on the role of data driven research. He will question how big data can support and complement clinical trials, and contribute to re-engineering the processes of clinical research. Friday 7 September, 15:30-17:30, Debate Session, Big Data- who’s in charge?